Spending the new year in JB is my first time. I was looking forward to a time of feasting and resting. Having been overseas (well further than just across the causeway) for the past 6-7 years, this is surely a downgrade for us. Taking the KTM train from woodlands checkpoint was a different experience from the usual causeway link buses or cars which often gets into our nerves when stuck in the jams. There are 7 trips in a day and cost 5SGD to get from SG to JB sentral. Return trip costs only 5RM! It is no surprise that the trip there is filled with Singaporeans on new year eve. I was lucky my aunt booked in advance since the train was filled and my friend told me it was fully booked everyday till 3 Jan. The ride was about 5 minutes but the greater thing is that you do not have to queue at the crowded customs because they have special customs in air con walkways for train passengers. 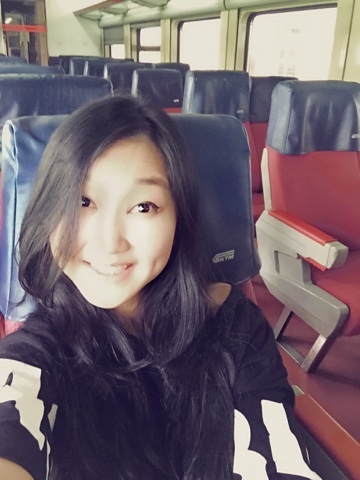 Surely a selfie is a must on the virgin ride! We took S1 from the bus stop at City square to KSL city directly. The wait can be as long as 30 minutes as jams are pretty common in the vicinity of the JB sentral. Dinner was at Infusion - a buffet restaurant within KSL resort where we stay. 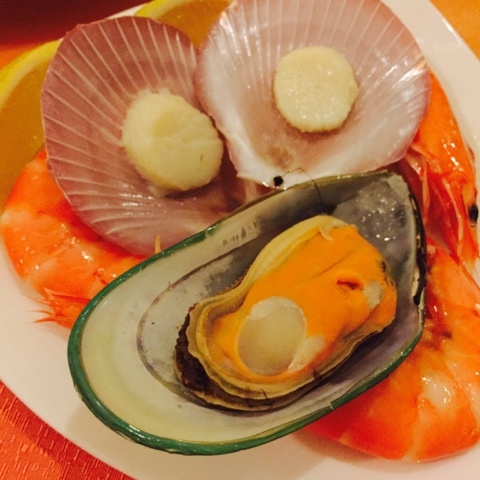 At 80RM per pax, where else can you get a new year eve's buffet dinner?! In addition, you also get a NYE pack each. Our prettily decorated table and my aunt's name because we booked. 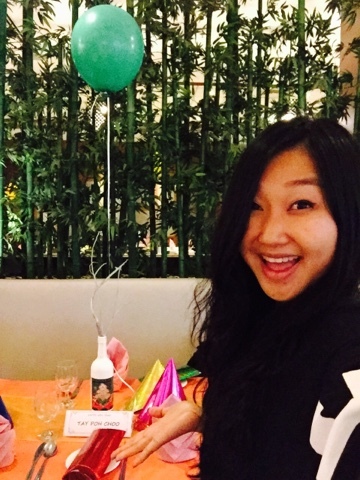 360 degrees around us are Singaporean diners, imagine the singlish-filled restaurant. The standard of the restaurant food was below expectations despite the wide array of selections. From self-service stations like the lok lok, pasta and laksa to BBQ meats and sashimi, you will need two stomachs to accommodate everything. The fresh seafood section was quite good though. The prawns were fat and crunchy while the scallops were quite juicy. Food aside, the service was pretty prompt and waiters were attentive to our requests for more water and clearing the empty dishes. 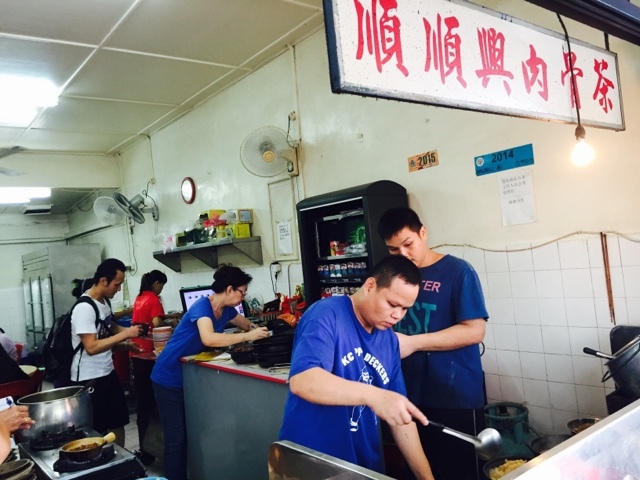 Headache over what to have for breakfast in JB has never been a problem for most people. Soon Soon Heng Bak Kut Teh located just a street across KSL City Mall is so convenient for holiday go-ers staying nearby. 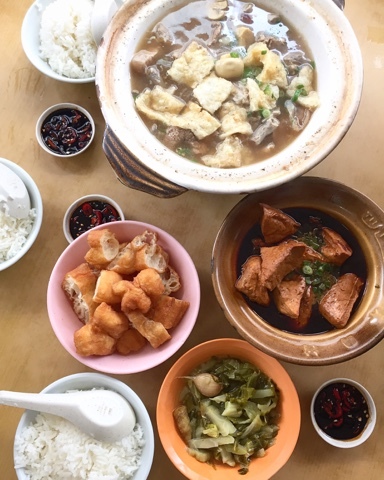 You will need to order your ingredients that you wish to add into your pot of bak kut teh and all other sides and they will get you a table thereafter. Sharing of table is common as their tables can usually sit 6-7 people. Expect to wait no longer than 10 minutes for your food. It's pretty fast as their turnover rate is high. My verdict: Singapore has better bak kut teh than this. Besides the fact that it's cheaper than what you can get in SG with the same price, there is nothing too fantastic about this delicacy. We added pork intestines and fish maw but the fish maw in our soup was a little dry and tasted of overnight oil otherwise known as 臭油. The soup lacks the flavour of pepper and garlic, only a little too much salt from the soy sauce. Luckily, the braised tawkwa saved the day. Good choice indeed, perhaps the braised pork trotters would be nice too. All for RM56 so it wasn't too heart pain. Since we weren't satisfied enough, we got our second brunch at this youtiao shop inside KSL. It looks decent with quite a number of diners. 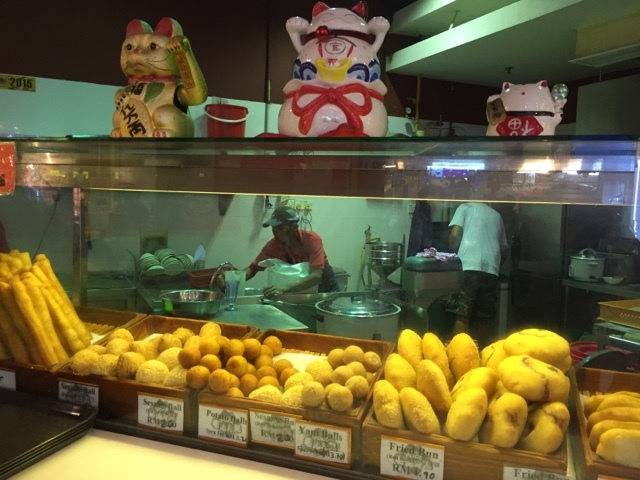 Specialties like yam ball and sweet potato balls are available. 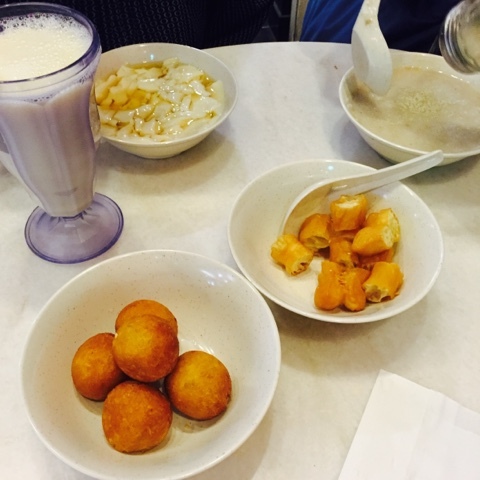 We got the freshly deep fried sweet potato balls (5 for RM3.20), a set which includes soya bean milk, scallop porridge and you tiao (RM8) and a hot bean curd. And my verdict is? The porridge leaks of scallop flavour and was really delicious! 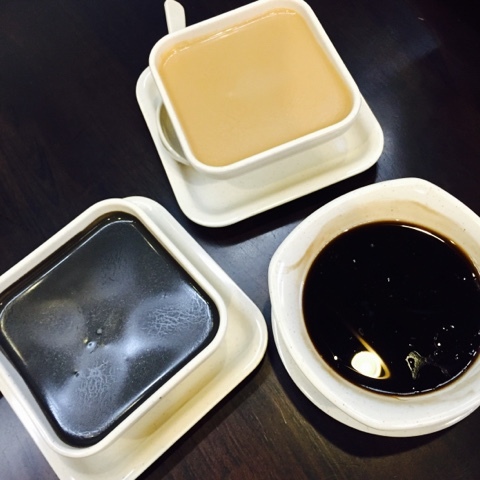 You get to opt for brown or white sugar syrup for the smooth, melt-in-your-mouth beancurd. The sweet potato ball impressed me. Wrapped with mashed sweet potato, it was sweet and soft within and lightly crisp all around the sweet potato flour. How glad to find this! 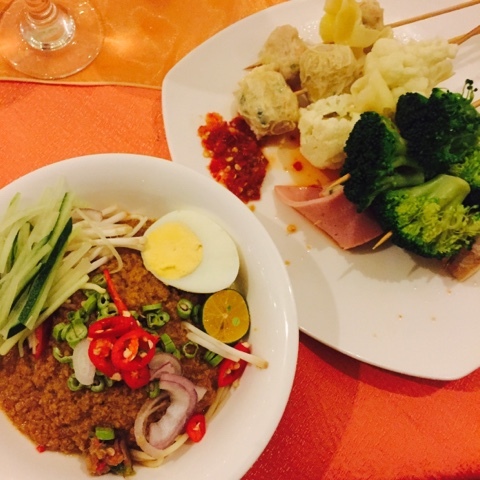 If you need to have something nice since the exchange rate is so attractive, try Meisan Restaurant in Mutiara JB Hotel. You will probably be quite familiar if you patronize Parkson mall beside to get your cheap electronics, DVDs etc. Singaporeans park at the hotel to be play safe. 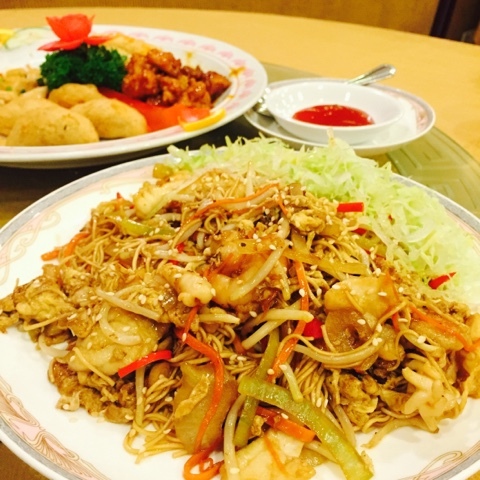 The Chinese restaurant is located on the second floor of the hotel. We made a reservation but it should be alright to walk in as well. This place is popular amongst the Muslim since its halal - how awesome is that!!!! We ordered the Mutiara Cold Dish Platter with four dishes (RM 91 includes GST) - Mashed Yam with Scallop, Sweet and Sour Chicken, Spring roll with salad cream and the last one, I think it's a kind of abalone mushroom but I'm not too sure, haha! They were all really delicious! 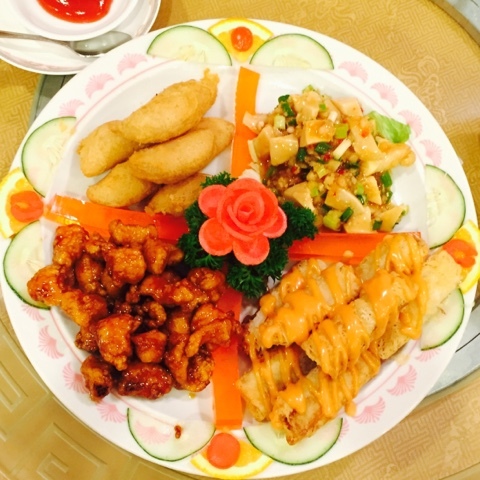 Never expected all of them to taste so good and they are quite rare dishes in a cold platter. The deep fried mashed yam with scallop within was my favourite. Shaped like a curry puff, you will love the fact that the yam is soft and creamy in texture. The seafood stir fried noodles was also very impressive. Simple ingredients like beaten eggs, shredded carrots, onions and sprouts were tossed in fresh prawns, squids and fish slices. The noodles was fried but maintains a good amount of moisture so it is very easy on the tastebuds. 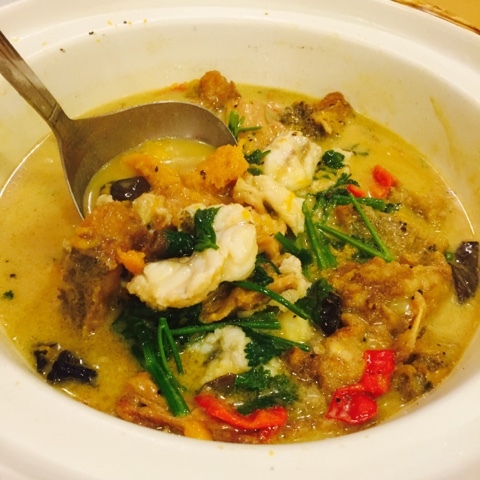 The star of the night goes to the two-style fish soup with peppered pumpkin infused purée. Half the grouper was poached whilst the other was deep fried and then both braised in the pumpkin soup. The soup was very creamily sweet and pepperish at the same time. Every mouthful was bursting with all the combination of flavours that I couldn't help but scraped every bit of the soup down to the bottom of the pot. Black fungus and chinese celery were cooked together to give it some fragrance. We felt satiated without feeling bloated after this wholesome meal. For RM318, it was surely worth every cent. 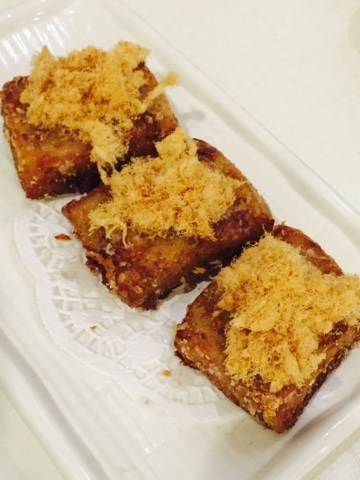 The above is pan fried carrot cake with pork floss, a newly added dish at D'Shanghai. 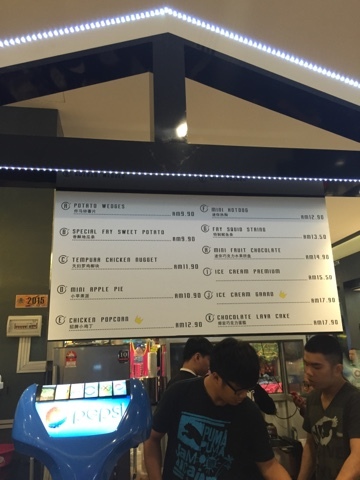 It's located beside MBO theatres in KSL city mall. We went at 12 noon and it was already packed with customers. Quite a number of dishes were already not available such as the soup dumpling and deep fried mashed yam with scallop. However, we still managed to order quite a few. There were some unique dim sum dishes which is not available elsewhere. 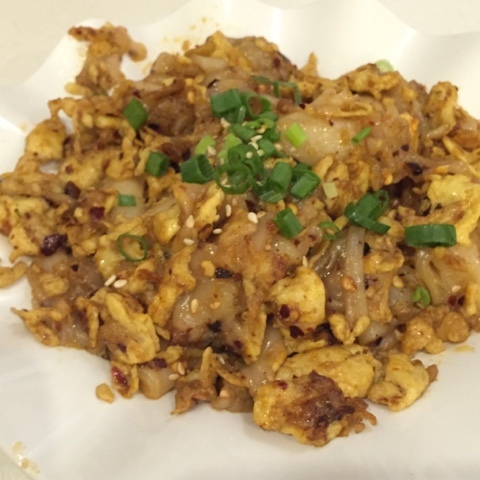 Such as the fried fen pi, a Shanghai style main which is fried with egg and bean sprouts, almost similar to stir-fried carrot cake. There was prawns but not very fresh so we did not finish up. Warning: it's a little spicy if you are not aware from the looks of it below. 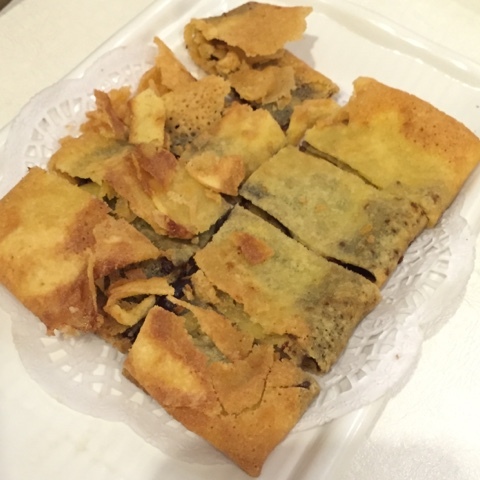 Some blogs say that the red bean pancake is a must to order. We did but it turned out average and not too impressive. Believe the entire pancake was deep fried instead of the usual pan fried ones which is why it is so crispy. 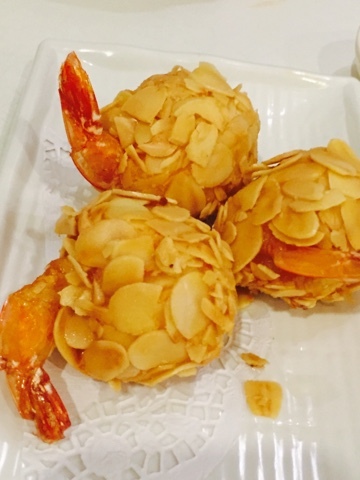 Fried prawn with almond flakes is not bad though. I love the almond flakes all around and it came hot from the kitchen. Otherwise, some others were not hot enough and we suspected they were pre-cooked and served upon orders. They had a lack of service staffs so they were quite slow but all else, it was a family-friendly place and perfect for a weekend brunch. We tried the desserts at Snow City Desserts located on 2nd floor coz we saw a banner which featured their durian snow flake dessert. We did not get it though because we were worried it will be too heaty. There were three types - D24, 猫山王 and one other..
We ordered the peanut paste, walnut paste and original herbal jelly for three of us. 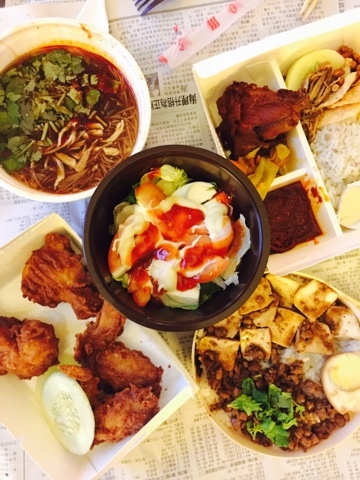 At only RM16 for three bowls, you can only probably get a bowl in Singapore with that price. While doing my pedicure at Nail Studio, i observed a customer chomping down on a unique huge cup with both hot food and drink in one. Hence, I used my free hands to research on what snack in KSL was in a cup and I found... DOUBLE COMBO! 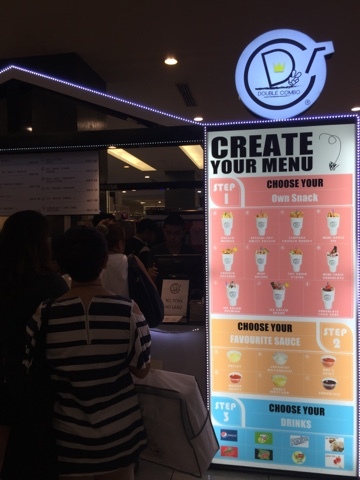 The fun part is that you can customize the main, choose your sauce then the drink that you would like to have all in this giant white cup. You will also need to write your name with a black marker on the cup to identify your food later on. There is no queuing system, you just have to standaround and look out for your own cup. We waited for a good 15 minutes for our food. There! 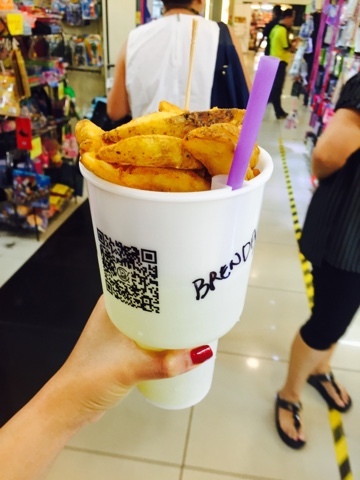 It's potato wedges - only RM9.90 for this everything in a cup. It does not list look good but tasted great as well! The wedges were really crispy even until we reached our hotel. The spicy sauce was indeed spicy unlike the chilli sauce you get cheated on most of the time. There's white sesame seeds in the sauce which gives it some fragrance. I am definitely coming back for more. There are so many other familiar eateries at KSL City Mall. Things like Taiwan Shihlin street snacks (Level 2) , Old Town White Coffee (Level 1) which we have tabao-ed back to our room for dinner. The nasi lemak at Old Town has been our all time favourites (RM13.50), it is not as cheap but we love the ikan billis chilli and their chicken has never disappointed. That's all for this post. I am going to try the High Tea at Infusion (hotel's cafe where we had dinner on the first night) later. Hopefully it'll be good!